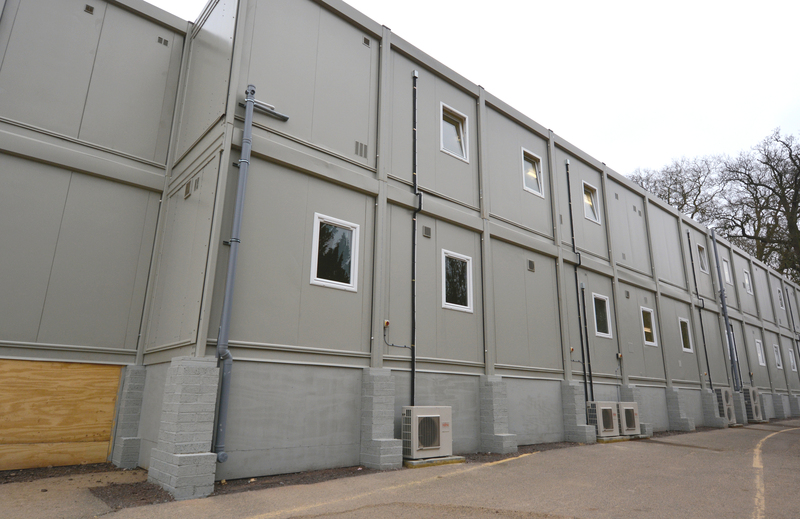 As part of the Government funded Crown Commercial Service (CCS), Premier Modular Limited were tasked by Fusion Project Management with designing and developing an education building for the training of construction trades for Guildford College in Surrey. 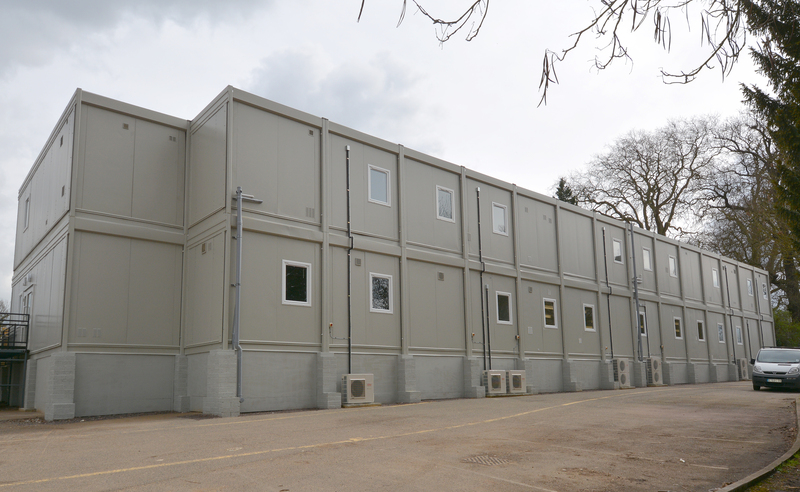 A 2-storey building consisting of 54 modular bays was created, meeting the client’s exact requirements. 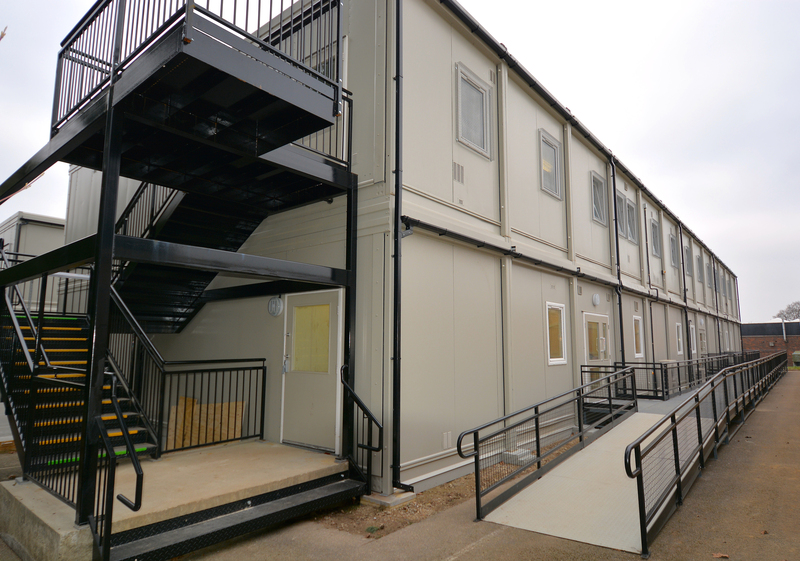 The building needed to be of sustainable design due to building methods being taught and assessed in the area such as bricklaying, the use of heavy trade machinery, plumbing and fixing and fitting of electrical components; all of which would be carried out in the temporary building space. 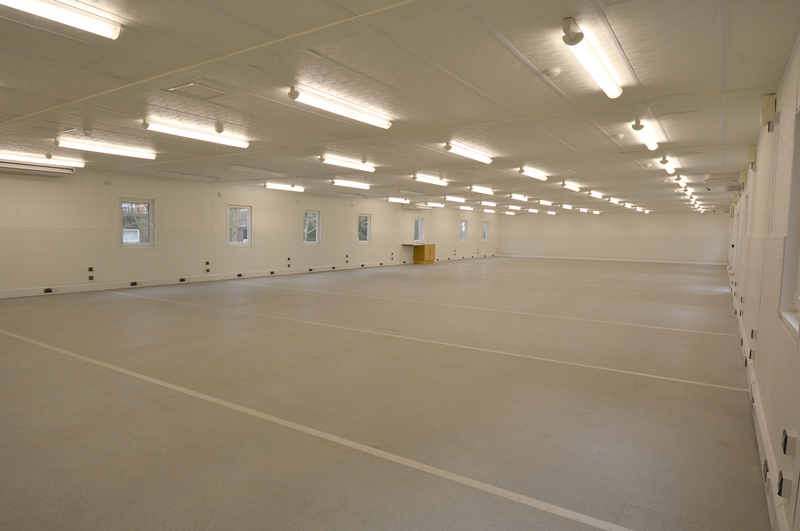 Requested for a minimum hire period of 15 months, the building was to be used during the interim period of Guilford College opening their new Construction, Technology and Engineering Centre in 2015. 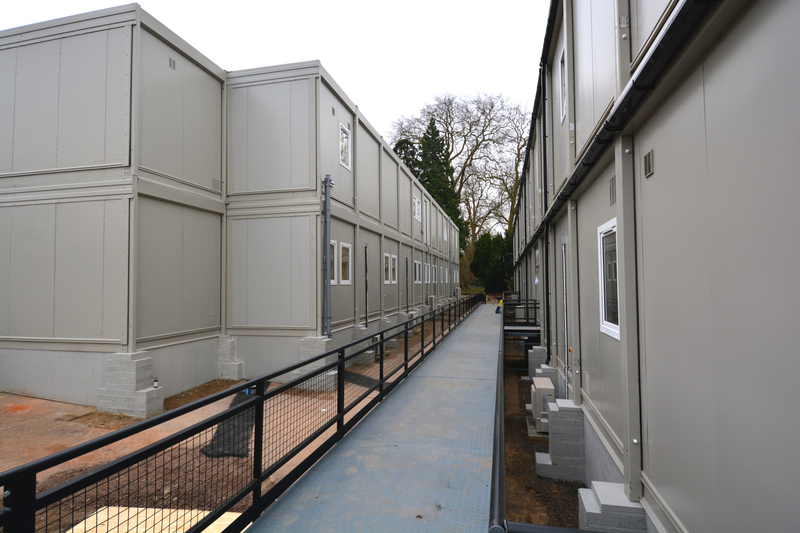 Premier’s off-site manufacture means budgets and timeframes could be easily controlled, perfect for educational building as it assures quick installation ready for term times.